The smell of stifado alone warmed me up that winter evening. The onions that were stewing released an earthy tone reminiscent of the harvest smell in the plains. This was sweetened by the cinnamon and wine. The slow bubbling of the pot on top of the wood burning stove made the kitchen so inviting, warm beyond the invitation. Kortsouli is a hill nearby the ancient ruins of Mantinea, in the plains of Tripolis. We always referred to the farm that Old Man Simbonis had there as just that, Kortsouli. 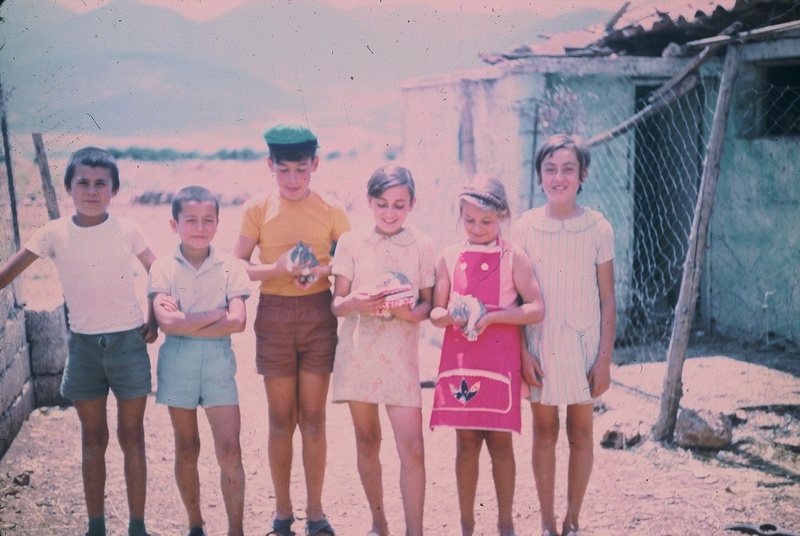 When we were children my brother would spend time in the ruins before they were excavated and find arrow heads and other items from the war against the Athenians. The building on the farm was medieval. Some of the ancient blocks of the walls of Mantinea were incorporated into the mud wall that formed the outer wall of sheds, stables and a simple summer home, when the old man would stay at Kortsouli if there was a harvest or birthing. The heavy wooden double doors, big enough to allow a horse cart through, faced Mantinea. On the right of the door was a pigeon loft, and next to that the rabbit hutch. The rabbits faced the courtyard through old chicken mesh, with a handmade wooden frame hinged to allow entry. One day a litter had been born, and somehow all three of us and some children from the village ended up at Kortsouli. Often one or two of us were there with the old man. Originally it would involve a donkey ride from the village house, but later he got a Zundapp motorcycle and we would ride pillion. My father used to walk there, and I still do not understand how we were allowed on the motorcycle when in South Africa we were not even allowed to look at them. My brother even had an accident once when the old man rode into the furrow along the narrow tarred road. My father trusted his life, and his children’s, with his best friend, George Simbonis. I do not remember the day we played with the rabbits. I remember my favourite captain’s hat, but do not remember donning the rabbit as a prince would for some wedding. 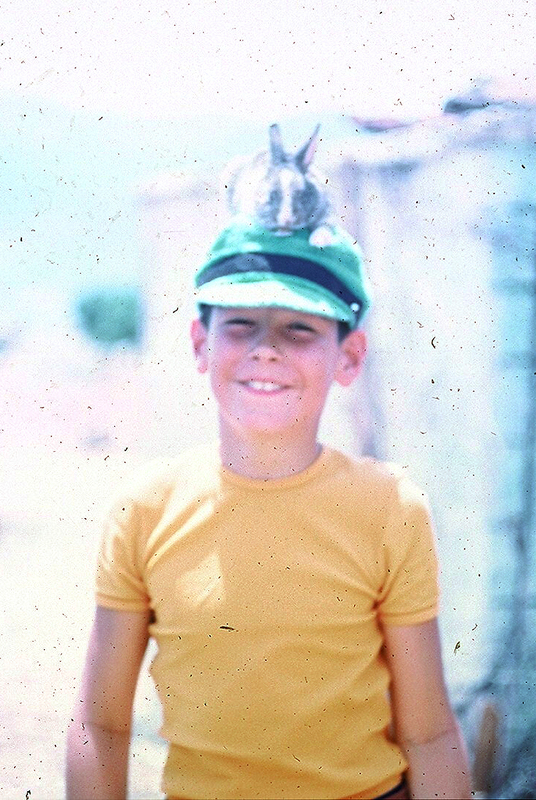 I think we adopted a rabbit each, and were allowed to play with them each time we were at Kortsouli. I remember the soft fur, the warm wet nuzzle against my palm. The heat and dust of the courtyard, reprieved by the shade of a mulberry tree just outside the gates, and another at the other corner, shading the well with cold dark water. Many years later I remember eating the winter kitchen stifado and crying inside. Because the main ingredient of stifado is rabbit. Thank you Basil, it is indeed as you have discribed it…..